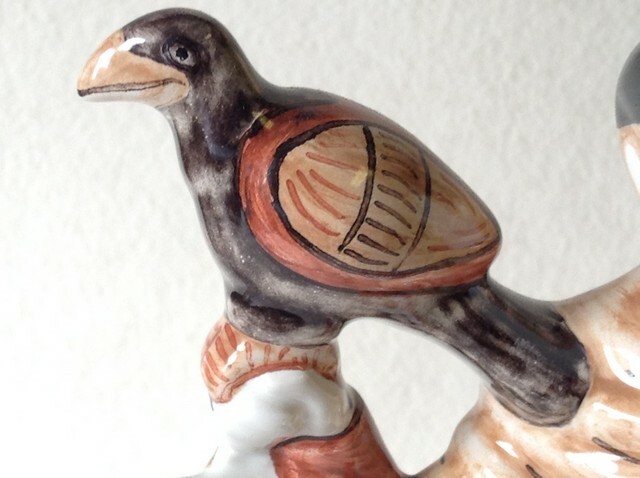 Duke Harold riding with his hawk. 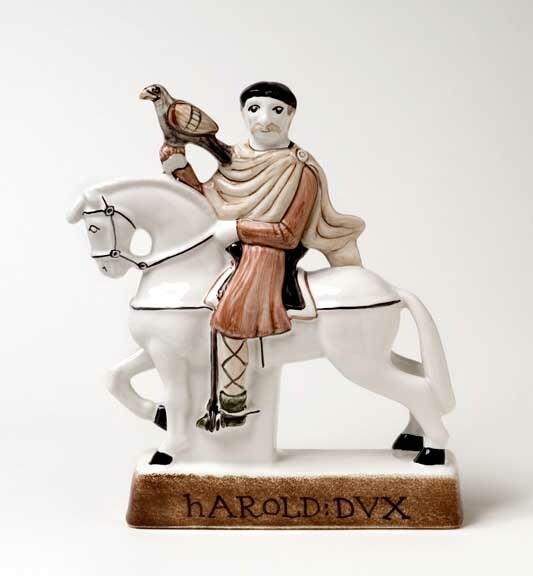 He is very definitely a Duke here, rather than King Harold as he later becomes, as this collection has been conceived to mirror the narrative style of the Bayeux Tapestry, telling the story of the Battle of Hastings, through a series of figures and vignettes. The palette is also tightly controlled and focuses on colours similar to those in the Tapestry itself, so comprises Chestnut Brown, Russet, soft Charcoal Grey, Dark Green, Black and Coral. Currently numbering five different figures – the latest is Bishop Odo, Earl of Kent and Bishop of Bayeux – this series is still being developed with new figures in the pipeline.